Mmm, mmm. Coffee makes me smile. In college I developed a strong attachment to this caffeinated beverage, and didn’t realize how much I could crave a good cuppa joe. 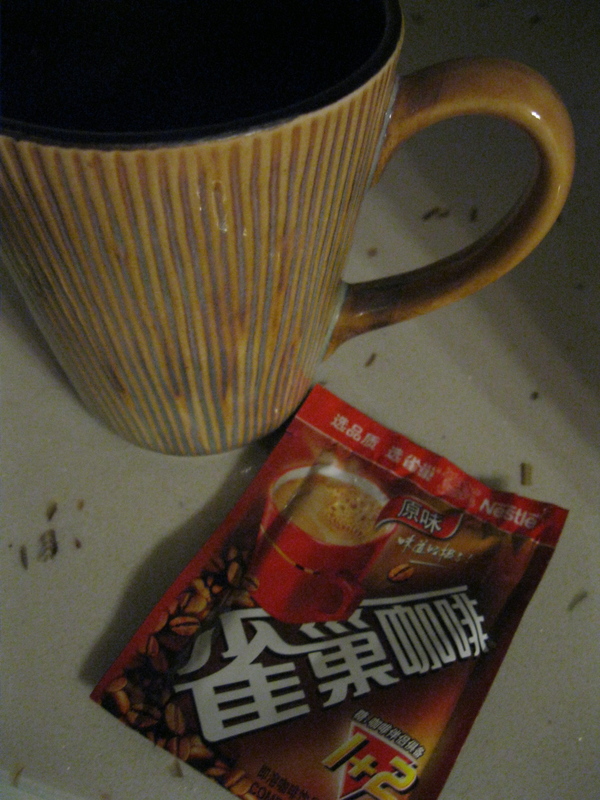 (Creamy, sweet Nescafe powdered coffee just doesn’t cut it.) Sure, there are coffee shops around Dalian where you can get a cup of decent coffee, but you will pay dearly — around $2 for a tiny cup. I miss being able to brew my own coffee. Sure, our coffee maker hissed and gurgled, but it also filled the kitchen with the most wonderful smell you could ever smell in the morning. Even when it fell on hard times (or, should I say, the coffee pot fell on the hard floor) it never let us down. 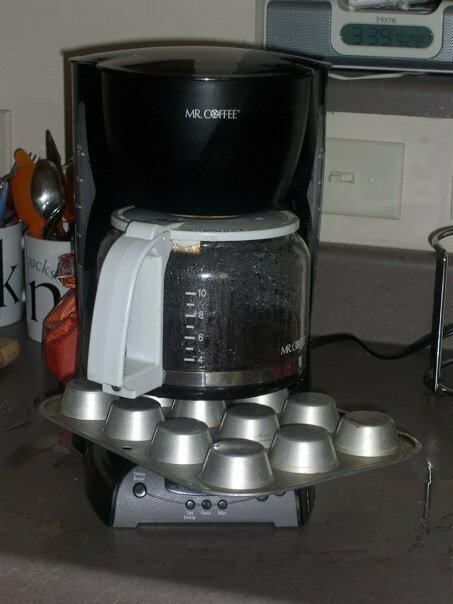 A handy muffin tin and different sized replacement coffee pot, and Mr. Coffee was back in business. 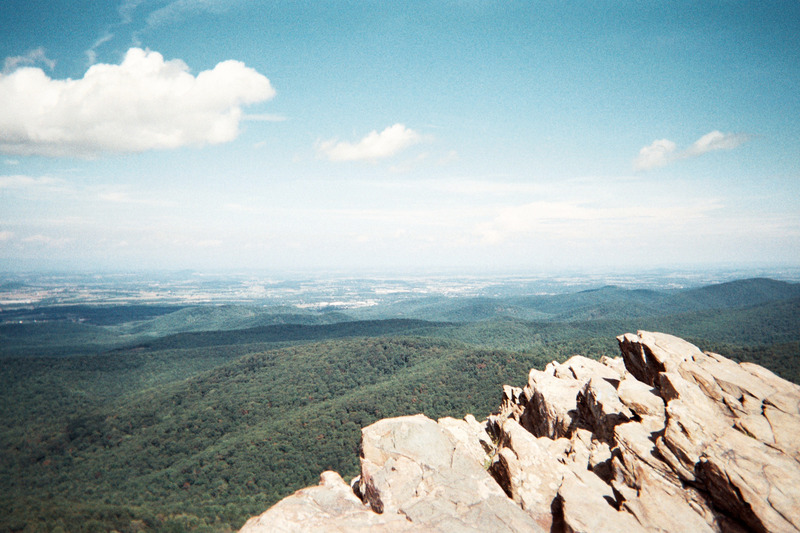 Humpback rock was a fun little hike to go on in Charlottesville whenever I wanted some one-on-one time with nature. 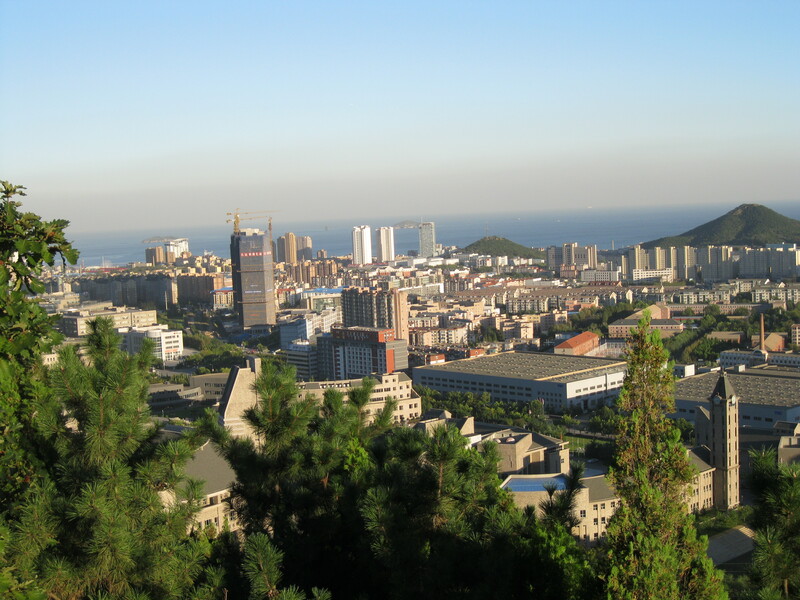 Luckily, in Dalian I have a mountain nearby (北山) that takes about 15 minutes to climb and has a little pagoda at the top that is perfect for breathing (relatively) fresh air, relaxing and clearing my thoughts. It also has some pretty nice views of the city and ocean in the distance. In typical college style, the futon in our living room on John St. was held together using an extreme amount of blue duct tape and several cinder blocks stolen from our garbage room. 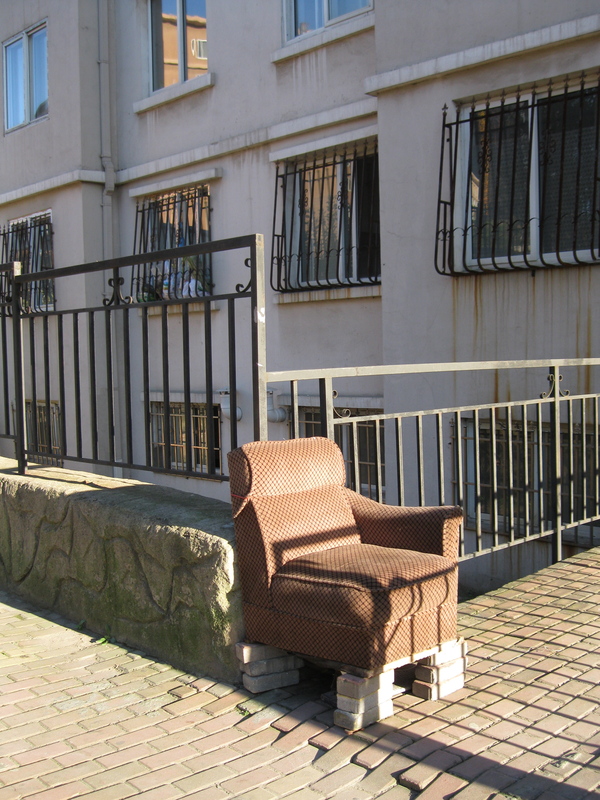 In Dalian, when I saw this chair sitting outside of the apartment next door, it reminded me that some things never change. Before and after, cinderblocks are always an acceptable way to give new life to a broken piece of furniture. love the contrasts! just caught up on your blog, it is great!! 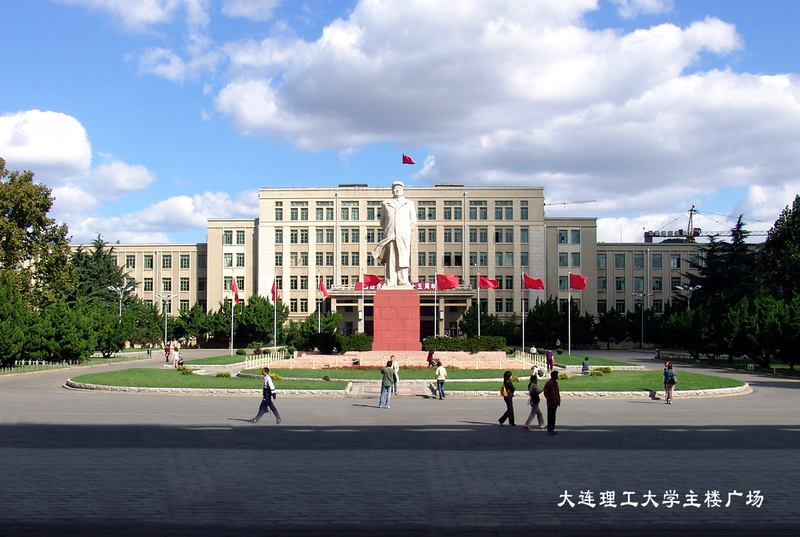 « Teaching Update: Broken Record?